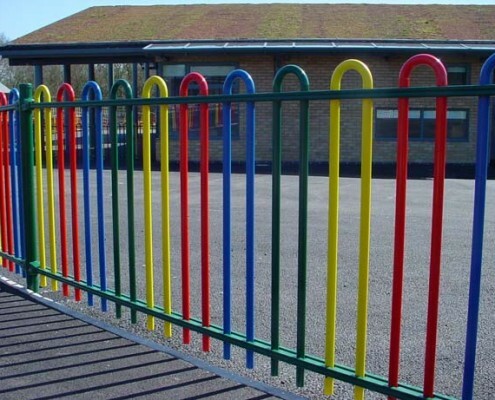 This is a coloured metal bowtop fence manufactured by Contour Rail. 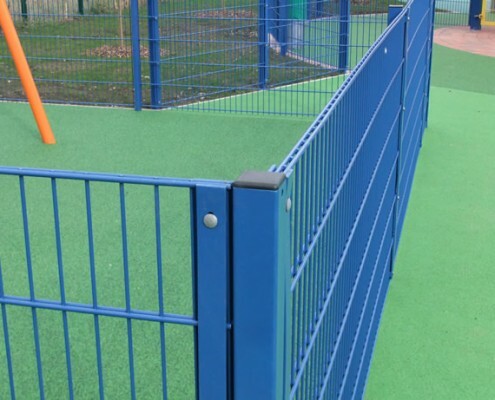 This fence is designed to be anti-neck trap and anti-head trap, complying with ROSPA (The Royal Society for the Prevention of Accidents) requirements. Rather than stepping the fence it can be raked to suit ground conditions and inclines. 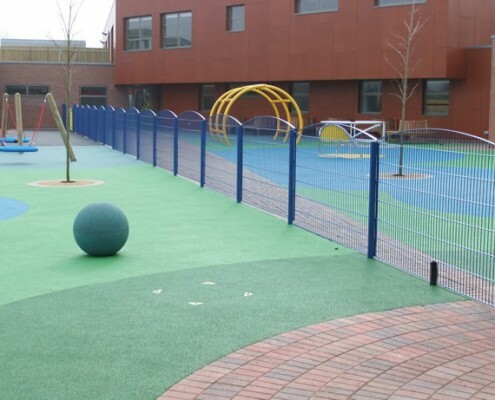 This particular coloured playground fence was installed in a new school in Tatsfield, Westerham, Surrey to segregate the Sure Start Children’s play area from the school. 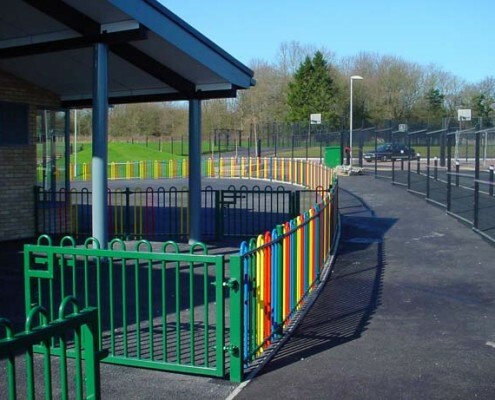 Below is a hoop top fence to childrens play area which is safely designed to ROSPA guidelines, having anti neck trap & anti head trap properties. The far fence is 1.5m high to comply with government guidelines on prevention of the abduction of small children. 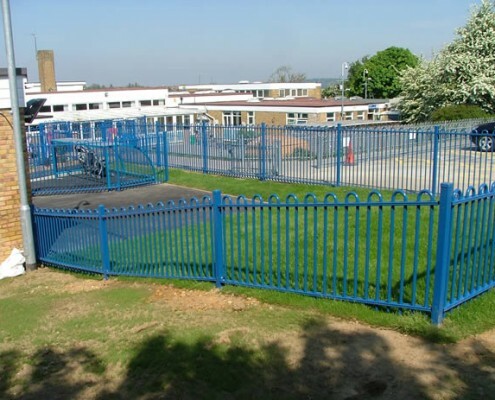 This particular fence was erected at a school near Gillingham, Kent.